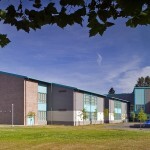 The Renton Park Elementary School was a complete replacement of an existing elementary school on the same site. The expected capacity of the new school will be 650 students. The building is located between drop-off, parking and entries on the street faces and fields and play areas on the interior of the site. The student drop off area and visitor parking are located off 128th S.E. with direct access to the front door and the Kindergarten rooms. The bus drop off, service entry and additional parking are located on the north side of the site. Recently renovated play fields and existing hard play area remained and play equipment was consolidated into one general area. The Rain Garden will provide opportunities for student instruction and exploration of the natural sciences in a controlled setting. 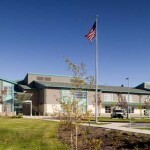 The school building is designed around a central Administration/Library “knuckle” with the two-story classroom wing extending to the south and the Gym/Commons component extending to the east. 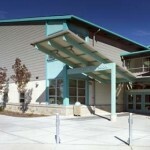 The building forms are made up of a series of large asphalt shingle shed roofs that define each of the major spaces. Smaller shed roofs occur at blocks of classrooms to break down the building scale.Main entries are located in the “knuckle” allowing for easy supervision by administrative staff. 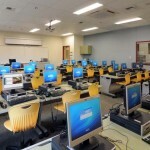 Each zone (Administrative/Library, Gym/Commons and Classrooms) of the school can be opened independently from each other with toilets and required exiting available for after hours, community and special event use. 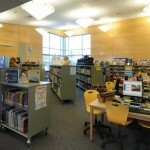 The Library is highly visible from the streets and serves as a beacon for the building. Situated on the second floor with large windows the space is filled with daylight and features views to the west and north. 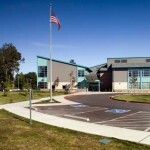 The Gym, Commons, Stage and Music room along with support and service spaces make up a zone that serves as the more physically active and large special events area of the school. 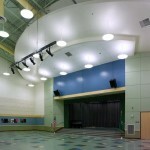 The Gym and Commons have a large folding wall in order to provide for large gatherings and stage presentations. 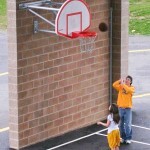 The play shed is attached at the east side of the Gym for direct access in wet weather. The Classroom wing is the heart of the school and is made up of clusters of classrooms on two floors. Groups of 4 classrooms are clustered around a daylit space that breaks up the corridor providing views to the exterior and overflow space for the classrooms. There are teacher prep and storage rooms on each floor are easily accessed from the classroom or corridor. Images and description courtesy of Bassetti Architects. 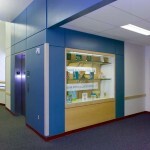 PA/CA work completed by Brian Rich at Bassetti Architects.